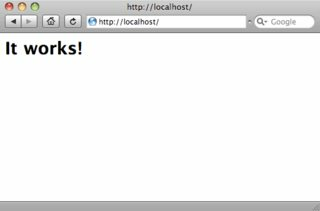 I'm setting up a localhost and everything looks like it should work but whenever I go to site.local it loads the default Apache localhost page (It works!). I just don't see what's going wrong... any ideas? What you are seeing is the webpage based on the global server configuration where the DocumentRoot is whatever default MAMP is set for. You get that listing because of the line Options Indexes FollowSymLinks in your httpd.conf file. If you want to disable this, remove the word Indexes from that line and the listing will no longer show up. When a request arrives, the server will find the best (most specific) matching argument based on the IP address and port used by the request. If there is more than one virtual host containing this best-match address and port combination, Apache will further compare the ServerName and ServerAlias directives to the server name present in the request. If you notice, your host that is defined the global server configuration is the same as the virtual host. This is probably where you are getting your error. Now, my fix for this is a bit more involved initially, but infinitely more efficient because I try to avoid turing my machine into both a client and a server. 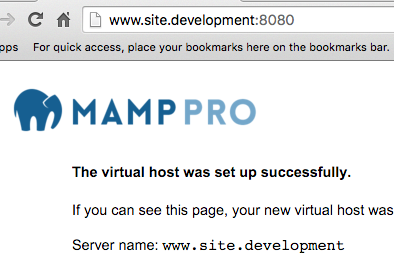 I do all my development on a Mac with a Virtual Machine running my AMP server. This way I can mirror my production environment much closer and I don't have unnecessary services (like Apache and MySQL) running on OS X; they are all relegated to the VM. The VM has it's own IP, own server name, everything so when I point my browser to it, I know what results to expect. I have a write up on how to install a FreeBSD VM on VirtualBox running on a Mac that has autostart enabled. If you are interested, I can share it with you. Executing apachectl configtest doesn't check /Applications/MAMP/conf/apache/httpd.conf for consistency but the default OS X Apache config file /private/etc/apache2/httpd.conf. You have to use /Applications/MAMP/Library/bin/apachectl configtest instead to check /Applications/MAMP/conf/apache/httpd.conf. The use of a fully qualified domain name in the form hostname.local is discouraged. These fqdns are reserved for Multicast DNS (mDNS). You may use .home, .development or .test. You may check your virtual hosts file with /Applications/MAMP/Library/bin/apachectl -S.
Entering http://localhost:8080/ in the browser will show the same page. 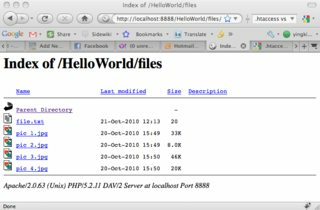 If you run no other instance of Apache (especially the default OS X Apache) you won't be able to connect to localhost:80 or site.development:80.
index.html, info.php, index.py etc. reside under /var/www or /var/www/test or whatever you define in configuration. Look inside VM server whether UBUNTU or SUSE or whatever VMWare or VirtualBox and you cannot find /var/www. OS X doesn't play with open communities. 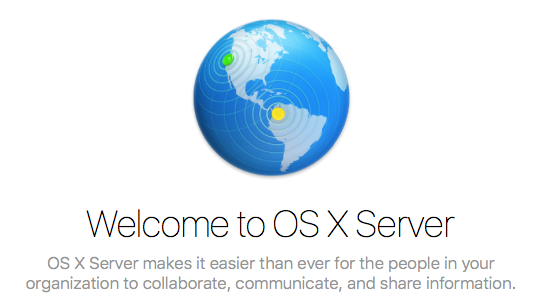 There's no way you can make VM servers control browsers running on a Apple machine. Not the answer you're looking for? Browse other questions tagged macos apache mysql .